to 7. Hens were very disappointing 3.5 to 4.5.
raising Dark Cornish as broilers? broilers hydrated even on uneven terrain. I also raised Dark Cornish for meat. I was a little disappointed with their size but the taste was great. I only had hens and butchered only one because I want to cross my DC with my White Rock rooster. I will also be raising full WR for meat this year. You could also consider Cuckoo Maran. They are fast growers (for slow growers) and a good size. I knew that White Rocks were sometimes bred for meat, but hadn’t heard about Cuckoo Maran. I’ll have to subscribe to your blog to hear how your experiments go. Thanks for the ideas! I am searching the internet to find out if any have experimented with Dark Cornish/New Hampshire Crosses. The New Hampshires have proven to be excellent foragers. After raising them to about six weeks old they did not need any feeds or grains as they free ranged for all of their needs. By five months they all reached a large and healthy slaughter weight. I have heard that Dark Cornish are also fast maturing and are good at free ranging. That is why I think that the New Hampshire / Dark Cornish Cross would be the best for fast growing free range meat chickens that will produce more eggs than pure Dark Cornish hens. I also have some large Barred Rock hens that I’m planning on crossing. I just ordered two Dark Cornish Roosters and a few Dark Cornish hens. I will post my experiments by the fall of 2012 but it sure would be nice to find someone who has experimented with these breeds to know the results of such crosses. I wish I could help you out, but I decided not to use Dark Cornish this year — I experimented with laying breeds instead. But I’m very glad you commented — you make New Hampshires sound extremely intriguing! I have a dark Cornish rooster he is a year and half old and we have bred him to DC hens and buff orpingtons and silver laced wyandottes. The hens are still sitting now but should hatch here in about 6 days or so.I will post how things go. Also I plan to put them in the freezer. Scott — I’ll be curious to hear how your experiment works out. I’ve noticed that any kind of hybridization does seem to help. We’ve been raising Australorps and Marans as all-around farm birds, and the broilers that have an Australorp father and a Marans mother seem to be among the biggest. In March 2013 I will have been working on a broiler for the range for 3 years. All my birds are kept free range, no tractors. I started with 5 large dual purpose breeds in 2010 from E-fowl. In 2011 I choose to go foward with a 9lbs Delaware rooster. Delawares had the best temperment, growth rate, and meat carcass. When crossed with orpington and new hampshire red hens I got 5.5lbs pullets and 6.75lbs cockerels at 18wks from both. All the chicks had Delaware like plumage which makes for a good looking plucked bird. For the spring of 2012 a 9lbs Delaware/Orpington cockerel was bred to a half sister Delaware/New Hampshire pullet. This cross produced an 7.5lbs cockerel as well as a 6lbs pullet at 20 weeks. Unfortunately both died from predators this October. To date all crosses have foraged superby and are efficent layers of extra large “terra cotta” brown eggs. I ordered in the spring of 2012 from Ideal both dark and white laced red cornish in an attempt to add even more meatiness. The plan is to cross a white laced red cornish rooster with the hybrid hens. The goal is a broiler that acheives 8lbs by 16wks on free range conditions. I hope the cornish is the last touch. Sam — Thanks so much for sharing your experience! That’s extremely valuable information, especially since you mentioned where you got your initial breeding stock. Did you, by any chance, keep track of egg laying and feed consumption too? Before the cornish x cross there was a dark cornish and rhode island red developed in the UK they are fast growers and excellent meat. I just came across your website talking about using Dark Cornish to cross for a homestead meat bird. We are just embarking on this project this year after a year of research. We came across old material talking about a developed cross called the Corndell. It is a cross of Dark Cornish and Delaware. We decided we want to bring this back. However we are sticking with our convictions for a true homestead meat bird. We are going for quality, not quantity. 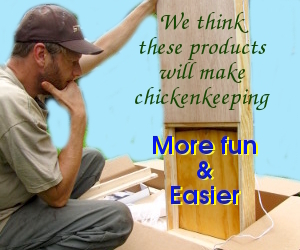 Our goal is to develop a meat bird, free ranging with free access to produce, which will reach 5-6lbs at 12-14 weeks. Tanya — Fascinating! I hope you’ll come back over and keep us posted once you have a few experiments under your belt.